Caption slip reads: "Photographer: Glickman. Date: 1951-09-04. Reporter: Looman. 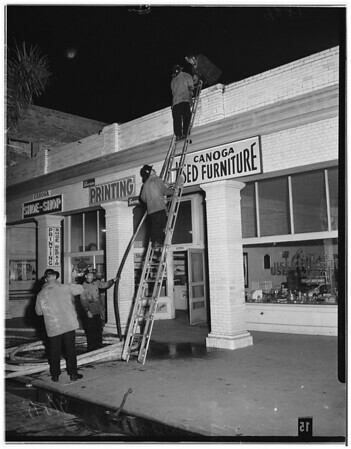 Assignment: Canoga Park fire. 4 shots -- interiors of stores and exteriors".